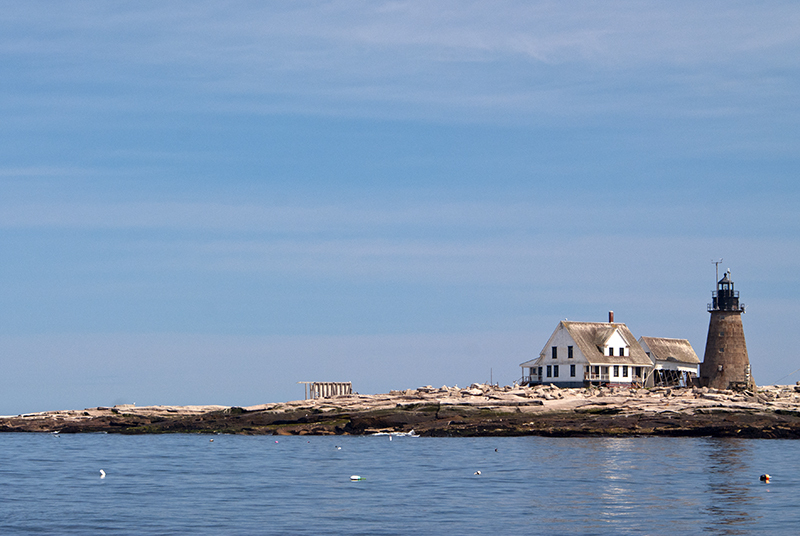 Mount Desert Rock Lighthouse sits on a ledge and is the most isolated lighthouse in New England because of its location 26 miles away from mainland. The rocky island is only 600 yards long and 200 yards in width. Fisherman called the island “God’s Rock Garden” as each year storms would wash away any soil, and each year local fisherman would assist the keepers and their families by bringing and dumping boxes of soil as an annual ritual to help with planting small crops. This story demonstrates the spirit of a parent that, when all is lost in times of peril, they use their last moments to try to save their children. 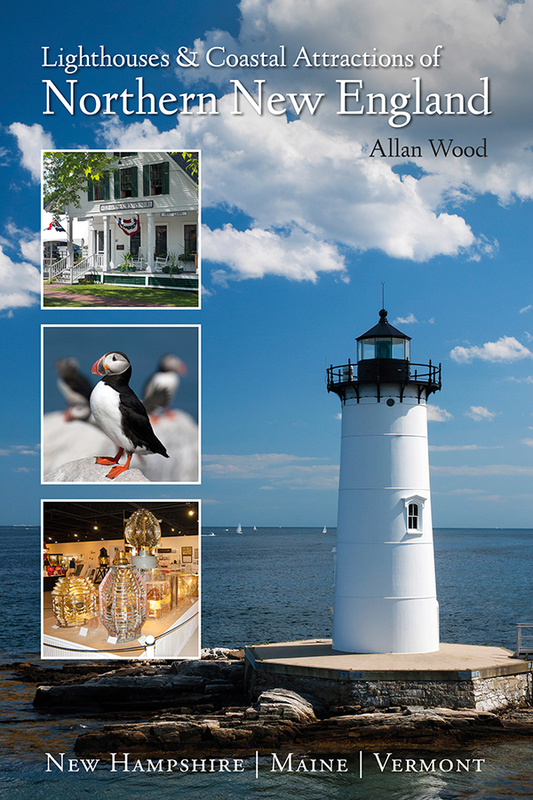 In the early 1880’s, the schooner Helen and Marywas carrying a load of granite from Halifax, Nova Scotia, when threatening weather suddenly came upon them out by Mount Desert Rock Lighthouse, many miles from shore. 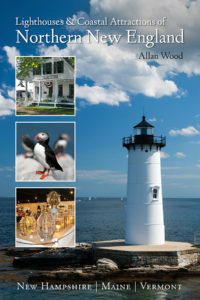 The first mate, Nelson White, tried to convince Captain Parker to head towards Maine’s Jonesport Harbor for safety, but the captain was eager to make his destination and receive payment for the cargo he was carrying. The captain’s wife, who also happened to be the first mate’s sister, accompanied the crew with their baby girl. As the weather worsened, the waves strengthened and started to wash some of the deck cargo overboard. The captain realized his ignorance too late, and as he started to shout to shorten the sails, fierce gusts of wind caught the fledgling canvas and started to tip the vessel into the raging sea. As water started to fill into the schooner, the captain’s wife, baby, and crewmembers were quickly put into the first of two boats. First Mate White and Captain Parker tried to drop the second boat into the rough seas, but the attempt was too late. The water filled vessel, with its heavy cargo was starting to sink beneath the waves, sucking both men underwater. First Mate White managed to reach the surface and climbed atop a large piece of floating wreckage. He observed in horror as the first boat had capsized nearby and could not locate any survivors near it. He agonized over the fact that all passengers and crew, including his sister, baby niece, and brother in law, had perished. A short time passed and the seas were starting to calm when he noticed a small bundle of heavy oilskin floating in the water towards him. He successfully managed to lift it out of the water and found his sister’s infant daughter wrapped inside, barely wet. Ecstatic that the infant had survived such an ordeal, he tied her as close to his chest for warmth, secured himself to the deck load of wreckage, and collapsed in exhaustion. Hours went by and the weather cleared as the two survivors drifted in the seas. Tending the Boys at Mount Desert Rock. 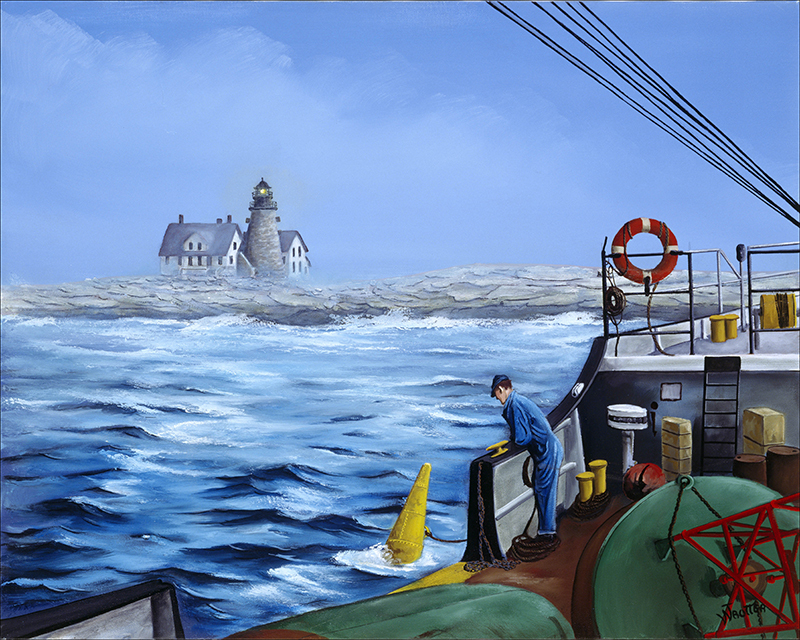 Painting courtesy of William Trotter and the US Coast Guard. 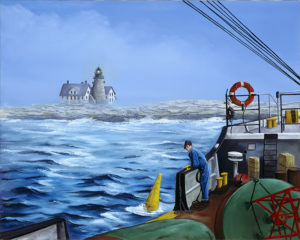 By the early afternoon of the following day, White was sighted by the lighthouse buoy tender Iris as both he and his niece were quickly brought aboard and given warm blankets and food. The infant had survived and was in good health from such an experience. 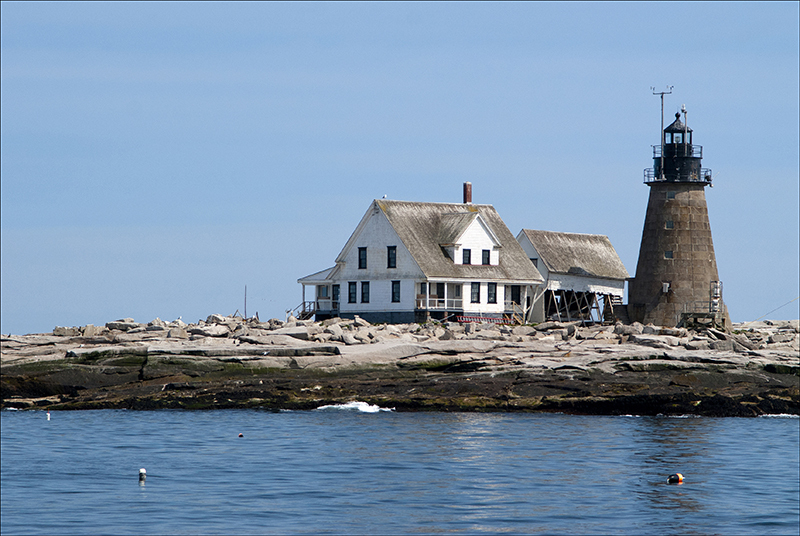 Both recovered from the exposure and were later brought to Prospect Harbor Lighthouse for additional medical treatment. All others from the ill-fated Helen and Mary perished near Mount Desert Rock. Little is documented as to what happened to the miracle baby afterwards, but many believe her grateful uncle cared for her among other family members in remembrance of his sister and brother in law. 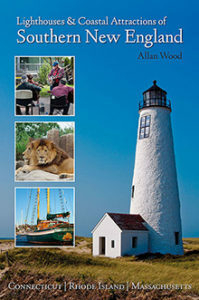 The island is a bird sanctuary, so the public is not allowed on the island, and there are no regular boat tours that go out to the lighthouse. Bar Harbor’s College of the Atlantic sometimes goes out to the island to tend the bird sanctuary there, and if you’re sincere in asking to take photos, during an opportune time when they may be heading out to the island, you may be allowed to join them. You must heed to their requests to stay around certain areas of the island away from nests if you are allowed to go. Be wary this is at least a two-hour trip (one way) out 26 miles and is not a tour. 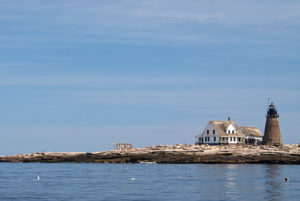 Bar Harbor Whale Watch Company has a Mid-coast Maine 8- hour, 16-Lighthouse Grand Slam Tour that features going out to Mount Desert Rock if the weather is decent in late August.